Hello there! 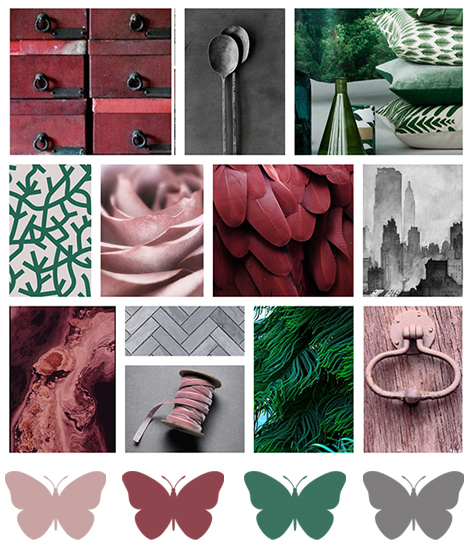 Amanda here today to share this month's mood board. I hope you all had a fantastic Christmas! My decor is coming down tomorrow and I'm totally sad about it. I feel like every year it gets harder and harder to pack it all away. I just love the intentionality that comes with the Christmas season. Maybe I just need to work to bring that in to the whole year. Who's with me? With all that being said these colors ended up being unintentionally Christmas-like. Let's just call it a transition from Christmas to winter. Luckily some of my decor can do the same and stay out a while longer! I hope these colors inspire you to create something new! We love seeing what you come up with, please be sure to share! You can share your link in the comments below, post in the BRI Facebook group or on Instagram with #BRImoodboard.